Trade Price Cars Racing can today confirm that it will make the move into the Dunlop MSA British Touring Car Championship for the 2019 season with a two car team run by AmD Tuning. The Essex-based, award-winning, car dealer has agreed terms to purchase the two Audi S3s that were previously entered by the AmD team, along with their TOCA BTCC Licences (TBLs) required to compete in the series, with AmD continuing to run the cars as part of a two-year deal. Trade Price Cars are no strangers to the BTCC paddock, having been involved in the series in a title sponsor capacity during the 2018 season. Managing director Dan Kirby is also well known in motorsport circles from his own racing career, having secured multiple podium finishes whilst competing in a range of different championships. That includes an entry in the BTCC-supporting Michelin Ginetta GT4 Supercup in 2017, as well as a guest drive in Porsche Carrera Cup GB at the 60th BTCC Anniversary meeting at Snetterton earlier this year. 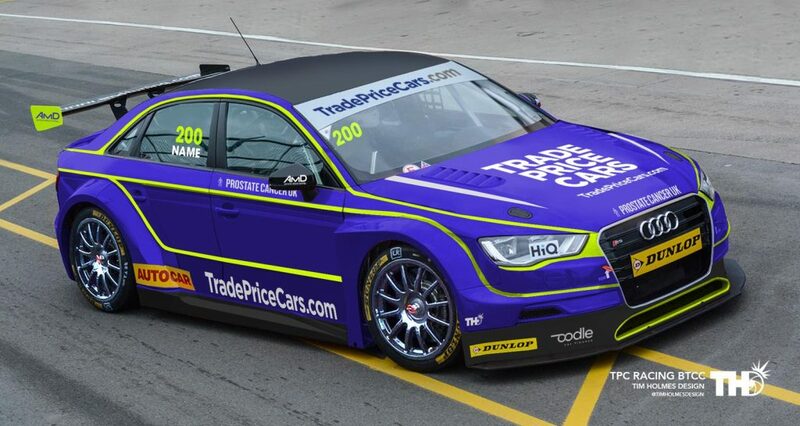 Drivers for the new Trade Price Cars Racing team will be announced in due course, with the two Audis now undergoing a thorough rebuild in preparation for the start of testing ahead of the 2019 season. “We dipped our toe in the water in 2018 as a sponsor, but we feel the time is right to take our involvement in the BTCC to the next level,” Kirby said. “The deal with AmD is one that is extremely attractive and gives us greater control over the programme to really maximise our investment. It also provides us with more flexibility to boost our corporate identity, and to promote the Trade Price Cars name to a hugely captive audience. “In terms of the car, the Audi is a package that works for us from a business perspective and the AmD team have done a great job in developing it in recent seasons. The AmD team has been responsible for running the Audi since 2015 and has secured multiple points scoring finishes in recent seasons – including a first podium finish at Brands Hatch earlier this year. “This new partnership with Trade Price Cars is a very exciting one for us at AmD,” AmD team principal Shaun Hollamby said. “To have the opportunity to work alongside another successful local business is a one that makes perfect sense for us, and I feel that it gives us a fantastic opportunity to build on the progress we have made with the Audis in recent years to move forwards up the grid. Former BTCC and UK Clio Cup driver Andy Wilmot will take up the role of joint team principle alongside Hollamby with immediate effect after joining from Matrix Motorsport. “I’m delighted to have been given the opportunity to form the team from the beginning,” he said. “Working for Trade Price Cars during the week as a buyer, I understand the brand and corporate goals that the business is trying to achieve.